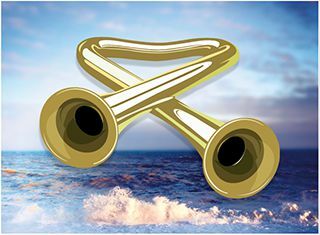 Tubular Brass, a 28-piece brass band, will perform Sandy Smith's arrangement of Tubular Bells in St Peter's Church, Manchester, on May 28 at 7pm. Advance tickets are £16.50. Tubular Brass will also perform the world premiere of the specially commissioned piece for brass band and synthesisers: Mary Casio by, and also featuring, Hannah Peel. Music Net presents Mike Oldfield’s classic album performed live in the spectacular setting of St Peter’s Church by Tubular Brass - a 28-piece brass band featuring some of the UK’s finest players. Plus their world premiere performance of Mary Casio by Hannah Peel that combines 70s analogue synthesisers with brass to stunning effect. Tubular Brass is a brand new brass band created to perform contemporary music and develop collaborations with artists from across the musical spectrum. Whilst firmly rooted in the brass tradition, Tubular Brass aims to bring brass band music to a new audience by creating extraordinary projects and collaborations. To open the evening, Tubular Brass perform the world premiere of the specially commissioned piece for brass band and synthesisers: Mary Casio by, and also featuring, Hannah Peel. Experimental electronic artist, arranger and composer Hannah Peel’s work combines the tremendously deep, rich power of traditional brass with the uplifting arpeggiated patterns and unearthly sound textures of analogue synthesisers. With a nod to 1970s concept albums and progressive rock, the work’s theme is an intergalactic journey from Earth to the star constellation of Cassiopeia utilising her creative pseudonym, Mary Casio. Growing up performing in brass bands, and drawing on the influences of electronic pioneers Daphne Oram and Delia Derbyshire, it’s the perfect opener to Oldfield’s magnum opus. “It’s called Tubular Bells. I’ve never heard anything like it in my life” John Peel, BBC Radio 1, 1973. Mike Oldfield’s Tubular Bells is one of the great icons of electronic music. Released in 1973, it became one of the biggest selling albums of all time and famously stayed in the UK charts for an incredible 279 weeks. It regularly appears in Top 100 Albums of All Time lists across the world. In the beautiful and atmospheric interior St Peter’s Church, Tubular Brass will be presenting the world premiere of a new score for brass, by acclaimed composer, conductor and arranger Sandy Smith, of this pioneering sonic masterpiece. Presented in association with Root Music and Band on the Wall, advance booking strongly advised. Mike Oldfield’s Tubular Bells is one of the great icons of electronic music. A great achievement for an album with hardly any electronic instruments!